For any facility that deals in bulk materials handling, steel-cord conveyor belts are an important part of any goods-movement system. In some cases, magnetic discharges can occur in a belt setup – setting off tramp metal detectors and bringing the supply chain grinding to a halt. Such disruptions can cause a major hassle as delays result from necessary remediation methods. Such delays can lead to losses that ripple throughout an organisation – SAS reports that these interruptions can decrease shareholder value by up to 10 per cent. Fortunately, belt demagnetisation can be an instrumental part of preventing these losses. So, what is demagnetisation, why is it necessary and how exactly does it work? When a conveyor belt needs to be extended, or a section needs to be replaced or repaired, the ends are joined together. If the belt has a steel cable core, these cables must be spliced together at the junction point of the two ends. Because the location of these splices can vary slightly, the magnetic field is slightly out of alignment. This leads to those discharges that can set off a false alarm in tramp metal detectors. When successfully demagnetised, the splice points no longer give off discharges. Hammering – a magnetised object is struck with a hammer across – rather than with – the direction of the magnetic field. Heating – when heated to certain temperatures, an object's atoms will vibrate so frenetically that they lose their magnetisation. Using electricity – an alternating electric current creates a magnetic field that counters the one present in an object. Through a number of successive passes through this field, the object loses its magnetisation. SRO Technology is an official distributor of VeyTech Group Australia's FLUXRITE belt demagnetisation system – the first non-contact system of its kind that can be permanently installed in a conveyor belt setup. The FLUXRITE system prevents the magnetic discharges that set off tramp metal detectors through a series of conditioning heads underneath the belt. These normalise and attenuate the magnetic flux as spliced sections of the belt pass over them. The FLUXRITE system is an effective method for belt demagnetisation. Featuring turnbuckles underneath the three sides of the conditioners, FLUXRITE can be easily adjusted while keeping a consistent distance between it and the belts. Additionally, thanks to its stainless-steel construction, the system is not susceptible to rust and only requires a nominal amount of upkeep. For more information about how SRO Technology can provide assistance with demagnetisation needs, get in touch with us today. 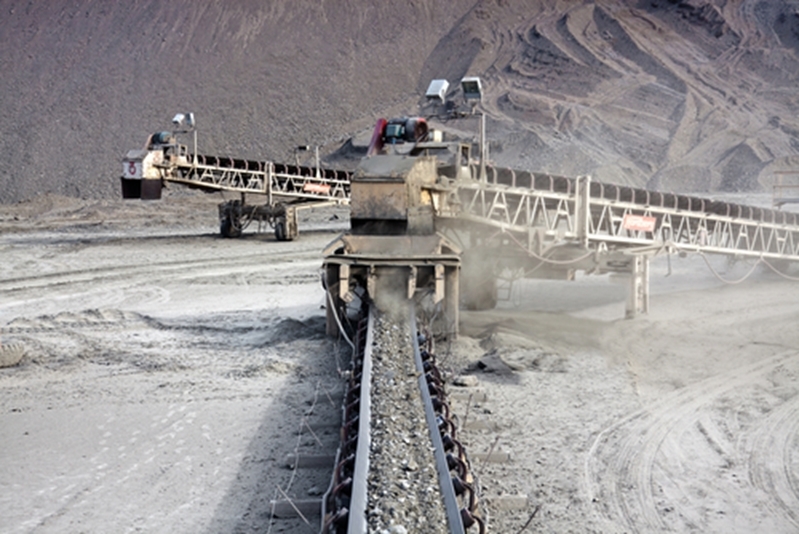 The Thermo Scientific Ramsey Oretronic IV tramp metal detector Rapid innovation: A look at five innovative mining technologies Why belt demagnetisation systems are essential for mines How do ultrasonic level measurement instruments work?